So you would have thought about owning a hybrid vehicle because it provides better mileage over conventional Cars. Before buying a hybrid car it’s very necessary to look at the pros and cons of hybrid cars so that you can make a right decision and get the best of it. : Hybrid cars have better mileage over the gas cars because of the twin-engine configuration ie. An electric motor and gas Fuel engine. With steady acceleration limit under 60mph, the Hybrid cars can give 5 times better efficiency and fuel mileage. : Unlike Gas Sportscars, Hybrid Cars do not have heavy engine power but the dual configuration of Gas Engine with an electric engine, the hybrid cars get better acceleration power for city driving. You can easily zoom through the city interactions in a moment in city streets without any hassle, thanks to the better drivetrain of electric motors. : You’d be surprised for not hearing any engine buzz sound while driving hybrid Cars on the electric motor under the city speed limits. This will give you better energy to focus on something more important rather than being troubled by noise. : Hybrids have the gas and electric engine configuration over conventional gas engine Cars and thus hybrids have lesser emissions and help in maintaining a clean environment. In fact, a study showed that Toyota Prius(hybrid vehicle) showed 80% lesser emissions ratings compared to conventional gas engine Cars. : This is one of the best parts of Hybrid Cars benefits, under city speed limits you apply the brake and the brakes give electricity energy to the motors for next acceleration. The regenerative braking is such feature hybrid Cars conquer in. : modern times hybrid cars are constructed from lightweight materials which make better weight distribution and thus lesser power consumption. : By owning hybrid cars you contribute to the better environment and show as a responsible citizen for the goodwill of society. In many places, the government gives incentives in terms of tax deduction etc. To hybrid cars owners. : while driving under city speed limits, the hybrid Cars run on the electric motor, thus it reduces the stress on the gas engine. With less stress on gas engines, the wear and tear cost gets lesser and maintenance cost becomes very minimal. : People always frown about battery life in hybrid cars. There’s a myth popular among hybrid Cars discussions that the battery life is very short for hybrid cars but it’s not true. The market leaders such as Toyota have always equipped their Cars with long-lasting batteries. : Due to better mileage and lesser emissions ratings hybrid cars have been counted as better investments compared to the gas engine Cars. As it’s said every coin has two sides and that’s how there are some cons of hybrid Cars. : Due to high demand and benefits, the hybrid Cars are expensive compared to conventional gas engine Cars. : people have to wait longer to get possession of their hybrid Cars and thus the sellers earn the premium by taking benefits of the high demand of consumers for hybrid cars. : Hybrid Cars give lesser than estimated mileage on the highway because of high-speed driving and that’s one of the biggest cons. Though researchers are going on to tackle this challenge so in future we would be driving on highway speed with greater efficiency on highways. : Hybrid Cars are made for mileage and that’s why they have lesser engine power compared to conventional engine cars. : Hybrid Cars have multi-engine configuration with latest technologies and that is why they need more maintenance cost compared to conventional Cars. So these were Pros and Cons of Hybrid Cars. Did we miss any part? Let us know in the comment box. Check out Hybrid Cars Pros and Cons List and take the right decision of owning the right vehicle by comparing Hybrid Cars vs Gas Cars. 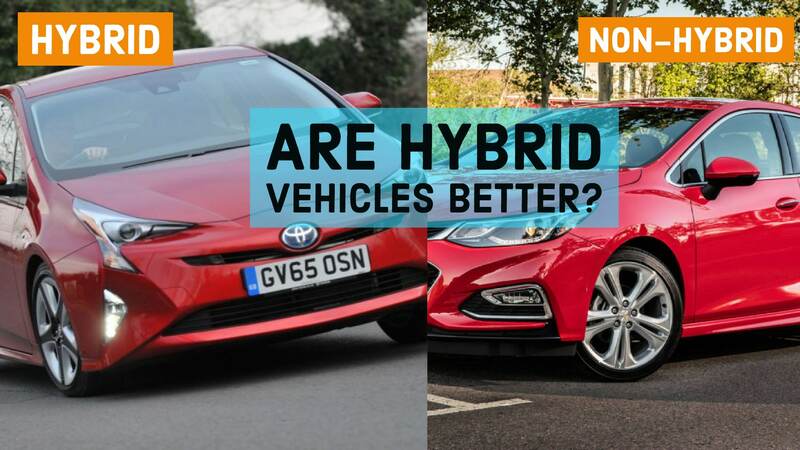 Nice article outlining the pros and cons of hybrid cars. I’m window-shopping for an affordable hybrid car with Honda Insight and Toyota Prius top of my considerations. Hopefully I can get to enjoy most of the benefits listed here when I finally make my choice. Thank you for this Admin. I wish I could afford a hybrid car!